We have special offers available on tickets for The Snowman. Bill Alexander directs Birmingham Repertory Theatre's musical adaptation of Raymond Briggs' children's story about the airborne adventures of a boy and his frosty friend. This staging of The Snowman by Sadler's Wells, suitable for children aged 4 and over, staged in the Peacock Theatre, has become a much-loved festive tradition in London. 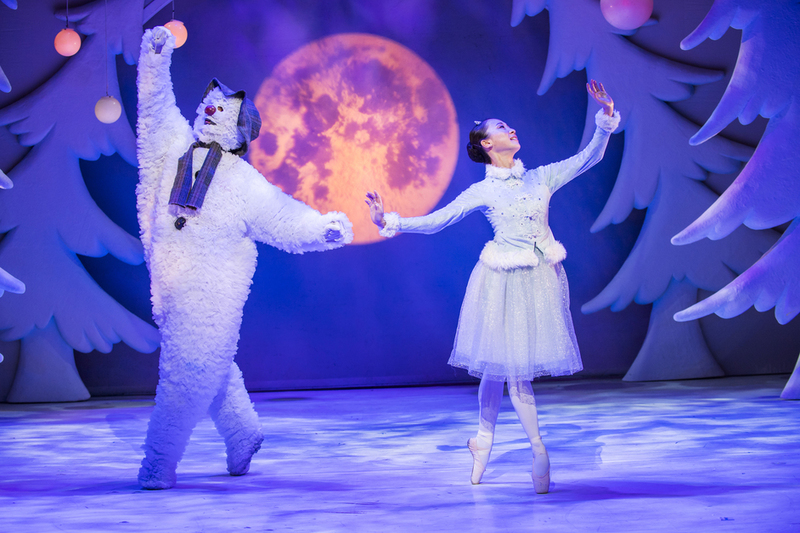 Translating the beautifully-illustrated book to dance, the respected ballet company creates a winter wonderland of a stage show at their West End theatre. This is the theatrical equivalent of going to see Father Christmas except infinitely more spectacular as a young boy's snowman comes to life and the two of them fly across the sky. When Father Christmas does appear it's in a shimmering woodland, surrounded by magical reindeer, dancing penguins and a host of snowy friends. As the first notes of Walking in the Air fill the theatre, the heart-melting factor will not disappoint as awe-struck children (and adults) are mesmerised by the dazzling light show of snow. What are the best dining options near The Snowman London? The Snowman gyms, sporting activities, health & beauty and fitness. The best pubs near London The Snowman. The Snowman clubs, bars, cabaret nights, casinos and interesting nightlife. Where to have your meeting, conference, exhibition, private dining or training course near The Snowman. From cheap budget accommodation to luxury 5 star hotels see our special offers for Peacock Theatre hotels, including ME London from 0% off.